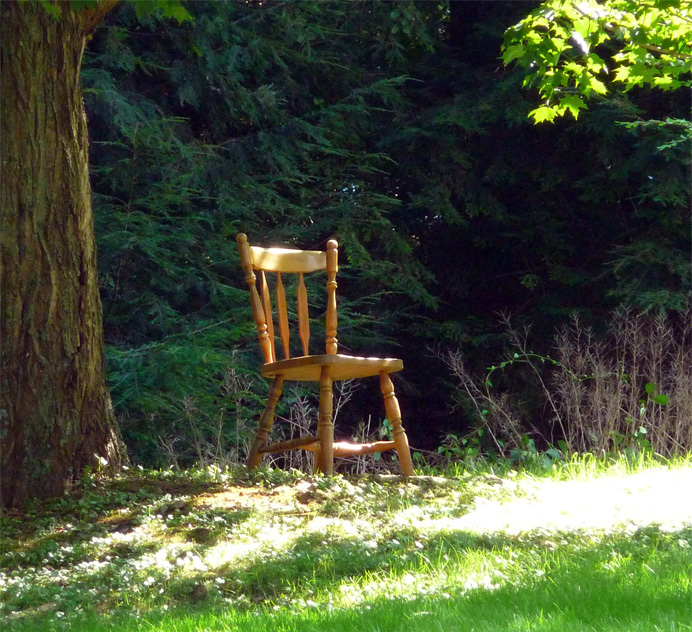 For more than a month now, rain or shine, this dining-room chair has been sitting in the shade of a sugar maple at the house under construction on Middle River Road (see July 17, 25, and 29). So far, I haven't seen anyone sitting in it. .